TMC reserves the right to make changes to the Site, this Agreement and the Site's policies and procedures at any time. You hereby agree that you shall use this Site for lawful purposes only. No material shall be posted on or transmitted or caused to be transmitted or delivered which 1) violates or infringes in any way upon the intellectual or property rights of others,; 2) is unlawful, threatening, abusive, defamatory, invasive of privacy or publicity rights, vulgar, obscene, profane, indecent or otherwise objectionable; and 3) encourages conduct that would constitute a criminal offense, gives rise to civil liability or otherwise violates any law. Further, you agree that you shall not engage in any conduct or undertake any conduct that, in the judgment of TMC or its subsidiaries or affiliates, may restrict or inhibit any other person from using or enjoying the Site, products or services. TMC may disclose user information when TMC believes in good faith that the law requires it. Advertising or commercial solicitation may not be posted on the Site by anyone other than TMC. *SPECIAL NOTE REGARDING USAGE BY CHILDREN AND INDIVIDUALS UNDER THE AGE OF 18: If you are a minor, you are restricted by state, Federal or other laws from purchasing certain restricted products or services or engaging in certain conduct prohibited by minors. You hereby acknowledge and you understand and agree that you and TMC are subject to such laws and regulations and TMC may be required to restrict or prevent you from purchasing certain products or services from the Site or from engaging in certain conduct. Such requirements may include requesting that you verify your age by appropriate identification or that you obtain the written consent of a parent or guardian. This Site is owned and operated by TMC Franchise Corporation. All content included on this Site, including, but not limited to, the text, graphics, logos, icons, images and software, is the sole property of TMC, its affiliate or its content suppliers and is protected by U.S. and international copyright laws. The compilation (meaning the collection, arrangement and assembly) of all content on this Site is the exclusive property of TMC and is protected by U.S. and international copyright laws. All software used on this Site is the property of TMC or its software suppliers and is protected by U.S. and international copyright laws. You may use the content and software on this Site only for the purpose of browsing on this Site or placing an order on this Site. Any other use including, but not limited to, the reproduction, modification, distribution, transmission, republication, display, removal or deletion of the content on this Site, in whole or in part, is strictly prohibited. All rights not expressly granted herein are reserved. 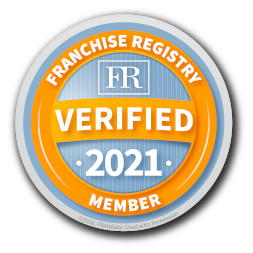 "franchise-circlek.com" is a service mark of TMC and Circle K Stores Inc.. The use of any Circle K trademark or service mark without Circle K’s express written consent is strictly prohibited. All other trademarks or service marks are the property of their respective owners. TMC makes no warranty of any kind, express or implied, including, but not limited to, any warranties of fitness or of merchantability with respect to merchandise or products or any part thereof. TMC shall not be liable for injury or damage to persons or property arising out of any acts performed in relation to any obligations created by this Agreement, except when such injury or damage is attributable solely to TMC’s gross negligence or willful misconduct. TMC shall not be liable (in contract, tort or otherwise) for special, indirect or incidental or consequential damages in connection with any obligations created by this Agreement or arising out of any acts performed in relation to such obligations. You acknowledge that such lack of liability, without limiting the generality of the foregoing, includes lack of liability for any injury or damage to persons or property or loss of actual or anticipated profits. TMC does not authorize any representative or other person to make any covenants, representation or warranties on behalf of TMC with respect to any merchandise or products. 3. A.Disclaimer; Limitation on Liability as to the Site. TMC uses reasonable efforts to ensure that the information and materials contained on this Site are current and accurate. TMC makes no representations or warranties as to the accuracy, reliability or completeness of the information, text, graphics, links or other items contained on the Site. TMC expressly disclaims liability for any errors or omissions in the information and materials contained on the Site. TMC reserves the right to make changes in the programs, policies, products and services described on this Site at any time without advance notice or consent. INFORMATION AND MATERIALS ON THIS SITE INCLUDING TEXT, GRAPHICS, LINKS OR OTHER ITEMS ARE PROVIDED "AS IS" "WITH ALL FAULTS" AND "AS AVAILABLE" AND WITHOUT WARRANTIES OF ANY KIND, EITHER EXPRESS OR IMPLIED OR STATUTORY, INCLUDING BUT NOT LIMITED TO, THE IMPLIED WARRANTY OF MERCHANTABILITY, FITNESS FOR A PARTICULAR PURPOSE OR NON-INFRINGEMENT OF THIRD PARTY RIGHTS OR TITLE, OR FREEDOM FROM COMPUTER VIRUS. TMC DOES NOT WARRANT THAT THE FUNCTIONS CONTAINED ON THE SITE WILL BE UNINTERRUPTED OR ERROR-FREE, THAT DEFECTS WILL BE CORRECTED, OR THAT THIS SITE OR THE SERVER THAT MAKES IT AVAILABLE ARE FREE OF VIRUSES OR OTHER HARMFUL COMPONENTS. Circle K DOES NOT WARRANT OR MAKE ANY REPRESENTATIONS REGARDING THE USE OR RESULTS OF THE USE OF MATERIALS ON THIS SITE IN TERMS OF THEIR CORRECTNESS, ACCURACY, RELIABILITY OR OTHERWISE. TMC EXPRESSLY DISCLAIMS ALL LIABILITY FOR THE USE OR INTERPRETATION BY OTHERS OF INFORMATION CONTAINED ON THIS SITE. A USER WHO USES, OR MAKES DECISIONS BASED ON, INFORMATION CONTAINED ON THIS SITE DOES SO AT THE USER'S OWN RISK. IN EXCHANGE FOR USING THIS SITE, YOU AGREE TO HOLD TMC HARMLESS AGAINST ANY CLAIMS FOR DAMAGES ARISING FROM ANY DECISIONS THAT YOU MAKE BASED ON SUCH INFORMATION. IN NO EVENT WILL TMC BE LIABLE FOR ANY DAMAGES, INCLUDING, WITHOUT LIMITATION, DIRECT OR INDIRECT, SPECIAL, INCIDENTAL, OR CONSEQUENTIAL DAMAGES, LOSSES OR EXPENSES ARISING IN CONNECTION WITH THE PROGRAM OR RELATED WEB SITES OR USE THEREOF OR INABILITY TO USE BY ANY PARTY, OR IN CONNECTION WITH ANY FAILURE OF PERFORMANCE, ERROR, OMISSION, INTERRUPTION, DEFECT, DELAY IN OPERATION OR TRANSMISSION, COMPUTER VIRUS OR LINE OR SYSTEM FAILURE, EVEN IF TMC, OR ITS REPRESENTATIVES THEREOF ARE ADVISED OF THE POSSIBILITY OF SUCH DAMAGES, LOSSES OR EXPENSES. HYPERLINKS TO OTHER INTERNET RESOURCES ARE AT YOUR OWN RISK; THE CONTENT, ACCURACY, OPINIONS EXPRESSED, AND OTHER LINKS PROVIDED BY THESE RESOURCES ARE NOT INVESTIGATED, VERIFIED, MONITORED, OR ENDORSED BY TMC. FURTHER, IN NO EVENT WILL TMC BE LIABLE FOR ANY DAMAGES, INCLUDING, WITHOUT LIMITATION, DIRECT OR INDIRECT, SPECIAL, INCIDENTAL, OR CONSEQUENTIAL DAMAGES, LOSSES OR EXPENSES ARISING IN CONNECTION WITH ANY PURCHASE OR THE LIKE MADE BY PARTICIPANT ON THIS SITE. SOME JURISDICTIONS DO NOT ALLOW THE EXCLUSION OF CERTAIN WARRANTIES OR THE LIMITATION OR EXCLUSION OF LIABILITY FOR INCIDENTAL OR CONSEQUENTIAL DAMAGES. ACCORDINGLY, SOME OF THE ABOVE LIMITATIONS OF THIS SECTION MAY NOT APPLY TO YOU. 4. Third Party Sites, Content, Products and Services. This Site may include links to or from other sites on the internet that are owned and operated by third parties. TMC is not responsible for the content of any third party sites, or any sites linked to, this Site, unless such linked site is owned or operated by TMC. The fact that another site is linked to this Site does not imply that: (a) TMC sponsors, licenses, endorses, is affiliated with it or that it is otherwise connected to this Site, or to the products or services described therein or its owner; or (b) TMC has authorized the linked site to use any trademark, trade name, logo or other trademarked or copyrighted material of TMC or Circle K. Unless approved in writing in advance by TMC or Circle K, you agree not to provide or create a link to this Site, or to create any frames at any other web sites pertaining to any of the content located at this Site. TMC has no responsibility for the accuracy, content, or availability of information found on sites that link to or from third parties not associated with TMC. When browsing the internet, we encourage you to use your discretion carefully. Because some such third party sites employ automated search results or otherwise link you to sites containing information that may be deemed inappropriate or offensive, TMC cannot be held responsible for the accuracy, copyright compliance, legality, or decency of material contained in such third party sites, and you hereby irrevocably waive any claim against TMC with respect to such sites. In addition, TMC cannot ensure that you will be satisfied with any products or services that you purchase from a third party site that links to or from this Site, since other shop channels are owned and operated by independent retailers. TMC does not endorse any of the merchandise, nor has it confirmed the accuracy or reliability of, any of the information contained in any such third party sites. TMC does not make any representations or warranties as to the security of any information (including, without limitation, credit card and other personal information) you might be requested to give any third party, and you hereby irrevocably waive any claim against TMC with respect to such sites. You must personally investigate or inquire to the extent you believe is necessary or appropriate before proceeding with any online or offline transaction with any of such third parties. Changes to the content of this Site may be made periodically by TMC without notice. By using this Site, you agree to be bound by any such revisions and, therefore, you are encouraged to visit this Site periodically and to review this Agreement to determine the then-current terms to which you are bound. TMC shall have the right to refuse or cancel any orders whether or not the order has been confirmed and whether or not you have already been charged for the transaction. If you have already been charged for the transaction and your order is involuntarily canceled, you will be entitled to a refund. 8. Note Regarding Franchise Information. This web site is not a franchise offering. A franchise offering can be made by TMC Franchise Corporation in a state only if TMC Franchise Corporation is first registered, exempted, or otherwise qualified to offer franchises in that state, and only if you are provided with an appropriate franchise offering circular. Follow-up or individualized response to you will be made only if TMC Franchise Corporation is in compliance with state registration requirements. The following states regulate the offer and sale of franchises: California, Florida, Hawaii, Illinois, Indiana, Maryland, Michigan, Minnesota, , New York, North Dakota, Rhode Island, South Dakota, Utah, Virginia, Washington, Wisconsin. Circle K, Circle K Design, CircleK.com, circlek.com, Thirst Freezer, Thirst Buster, and the stylization of the face of each credit, phone and cash card are trademarks of Circle K. All other trademarks appearing on the web site are trademarks of their respective owners.